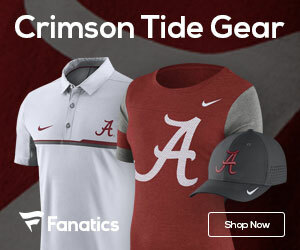 Norfolk State 80, Alabama 79: A change has got to come at the top | TideFans.com | By the Fans, For the Fans. What did we learn today? 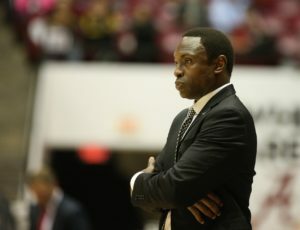 : The Avery Johnson experiment is officially a failure, and the athletic department can either pay big to fix its mistake now or pay even more dearly over the next several years. Johnson can’t motivate his players, can’t develop them, can’t settle on a consistent rotation or strategy and can’t connect any longer with a fan and donor base that has grown bitter and disillusioned just when it is being asked to open its wallets wide for a looming arena renovation. If Johnson were to come back next year, he would be asked to meet a couple of big goals that work against each other. He absolutely would have a mandate to make the NCAA tournament or else, and at this point he might even need to reach the Sweet Sixteen given how toxic the atmosphere around the program has become. At the same time, he would have to replace his entire staff and would need to strongly encourage some players with remaining eligibility to move on for the sake of repairing the team’s chemistry, while fighting to retain others who could make a positive contribution but may have lost faith in the program’s direction. In other words, he would need to start a massive rebuild knowing that the team wouldn’t turn around in time to save him. No sane coach is going to do what’s best for the long term in that spot, and the shortcuts he’ll feel pressured to take are just going to do more damage to the program in the coming decade. The only thing that could save Johnson from immediate firing is a hefty buyout, reportedly in the $6 million range after a too-generous extension last spring when there were no other schools or professional teams bidding for his services. It’s an expensive lesson for athletic director Greg Byrne, but if the department isn’t in good enough shape to absorb such a blow now, when will it ever be? And what will retaining Johnson do to his credibility and base of support if as expected he has to be the one to decide on a successor for Nick Saban someday? This is a time for thinking strategically, and if basketball is considered an important component of Alabama’s future, it cannot continue with a coach whose players keep quitting on him. What were the biggest concerns? : The now-familiar litany of loose ball-handling, bad shooting and getting outworked on the glass is sadder than usual given how much smaller and weaker the Spartans are than nearly anyone else Bama played this year. As Cecil Hurt of the Tuscaloosa News pointed out in a postgame tweet, Norfolk State is the lowest-rated team in the Pomeroy Rating (It was No. 265 before shooting up 21 places with the upset) to defeat the Crimson Tide since the formula was developed in 2002. NSU had no players taller than 6-foot-8, yet got offensive rebounds on 42 percent of its misses and won the battle of the glass 49-45 overall. And 12 of Bama’s 16 turnovers came on Spartan steals. The usual sorry foul shooting (10-for-17) was all on Bama though. Again these aren’t points of emphasis for the offseason as much as they are systemic failures that have cropped up every year in the Johnson era. What was the best part of the game? : Another trademark of this consistently inconsistent team is that once every two or three games a random player will suddenly channel the old NBA Jam video game and become briefly unstoppable. At the end of the first half, it was time for Alex Reese to catch fire, going on a personal 14-0 run with four of his five 3-pointers. Alas he didn’t get the second-half start, was ineffective in the few minutes after re-entering and then got poked in the eye, ending his night after 20 minutes with 17 points and six rebounds. Likewise an injury cut Dazon Ingram’s night short after he was credited for six first-half assists. Who was the star? : Herbert Jones needs to work on his game this offseason not only for his own sake but because he’s Bama’s best hope to be an effective leader next season, whoever the coach may be. At times seemingly the only Tide player taking the game personally, Jones scored 17 of his 18 points after halftime, finishing 6-for-10 from the floor with three rebounds and two assists. What’s next? : Byrne will need to make his decision on Johnson’s future, probably by this weekend at the latest. The spring signing period begins April 17 and the first date for regular season games is Nov. 5.